Clint Bowyer started sixth and finished 30th. Bowyer took second on lap 12 and passed Ryan Blaney for the lead on lap 17. Blaney retook the lead on lap 18, before Bowyer regained the top spot on lap 19. Maintained the lead for the next 20 laps, then pitted for four tires and fuel during a green-flag stop on lap 38. Was penalized for speeding when leaving pit road and was penalized a second time during his drive-through, which forced him to make a stop and go that put him two laps down. Bowyer started 29thand finished eighth. Restarted two laps down and consistently posted laps inside the top-four throughout the stage. Made a long green-flag run and benefitted from a caution on lap 128 to receive the free pass. After pitting for four tires, fuel and a left-rear wedge adjustment, he rejoined the field on the lead lap in position 15. Returned to the top-10 on lap 142 and held the ninth position for the next 14 laps before reaching eighth on lap 156. Bowyer started eighth and finished fifth. Took four tires and fuel and made right-side air pressure adjustments and put wedge back in left rear. Despite reporting his car had no speed through the middle and was washing out, he was able to return inside the top-10 on lap 206. Made right-rear air pressure and left-rear liner pressure changes during his final stop during a caution on lap 207. He restarted eighth and continued making consistent laps, reaching fifth on lap 226 by passing Joey Logano. This was Bowyer’s sixth top-five finish of 2018. 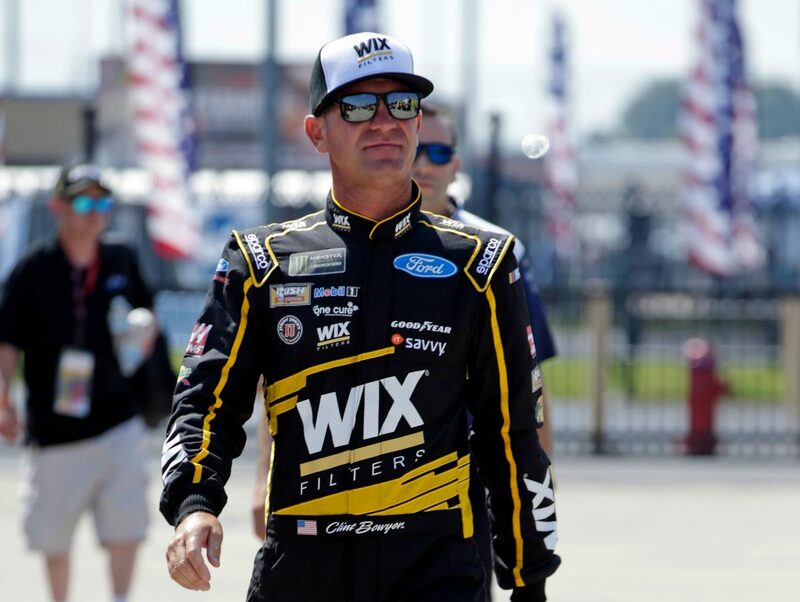 Bowyer earned his second top-five in 13 career Monster Energy NASCAR Cup Series starts at Chicagoland. He finished eighth in Stage 2 to earn two bonus points. Bowyer led twice for 21 laps to increase his total at Chicagoland to 29. There were 5 caution periods for a total of 23 laps.Fifteen of the 39 drivers in the Overton’s 400 finished on the lead lap. The next event on the Monster Energy NASCAR Cup Series schedule is the Coke Zero Sugar 400 on Saturday, July 7 at Daytona (Fla.) International Speedway. Coverage of the race begins at 7 p.m. EDT with live coverage provided by NBC.